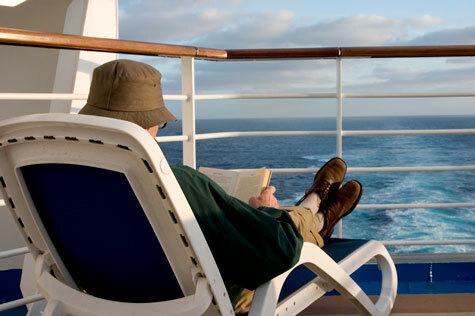 One of the most popular holiday choices made by over 50’s is cruising, and for some very good reasons. Cruises are different for everyone. Most Over 50’s love them because you can spend time being as active and involved as you feel like, or just relax on one of the many decks and read a good book. Entertainment on a cruise ship is extensive - catering for all ages from singles, families, children and young couples to more mature travelers. It is one place where all ages mingle perfectly. If you are considering a cruise holiday for the first time we suggest a relatively short one of 7-10 days – just to make sure it’s your cup of tea. Your choice of cruise destination is very important. If you enjoy relaxing while watching the ocean or reading a good book, you may consider paying a little extra for a balcony cabin. Sometimes it is difficult to find a deckchair on the open deck, just where you want it. It can also be noisy with children and ship activities is some areas. The restaurants usually have different options for dinner. Decide whether you want an early or late sitting or if you would rather go “anytime dining”. If you would like to sit with the same people you can organise to do this otherwise staff will sit you with different people. One of the emotional drivers of many older people is the desire to meet new people, forge new relationships and socialise with others who understand what life was like in the 1940s, 50s and 60s. While that can perhaps be achieved in a caravan park holiday, the six to 20 or more days spent on a cruise is often enough to form life-long friendships. Many cruisers travel around the world to catch up with friends they first met onboard. Always check dress codes on the ship. There will usually be one, two or three formal nights and, due to luggage limits if you are flying to the departure port, ladies should consider mix and match options. Book early as cruises fill up fast and by booking well in advance you can often get onboard credits with your booking.